In late 2015, Aurora Grocery Group (which operates 20 Compare Foods Supermarkets) announced it was introducing a new banner, which it claimed would be positioned more upscale than its Compare stores. 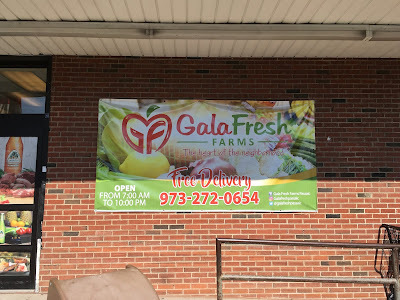 This new banner, Gala Fresh Farms, would be operated under the Key Food Stores Co-Operative group. 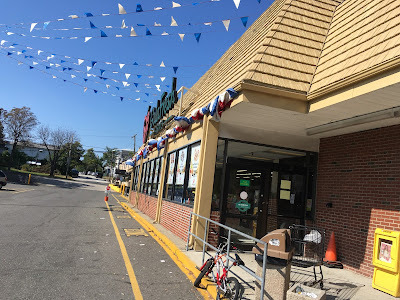 The banner started with five stores, with locations in Passaic and Paterson, NJ in former Food Basics facilities; Baldwin, NY, in a former Big-N-Cheap store; Riverhead, NY, in a former King Kullen; and Brooklyn, NY, in the Sheepshead Bay district, in a former Waldbaum's. 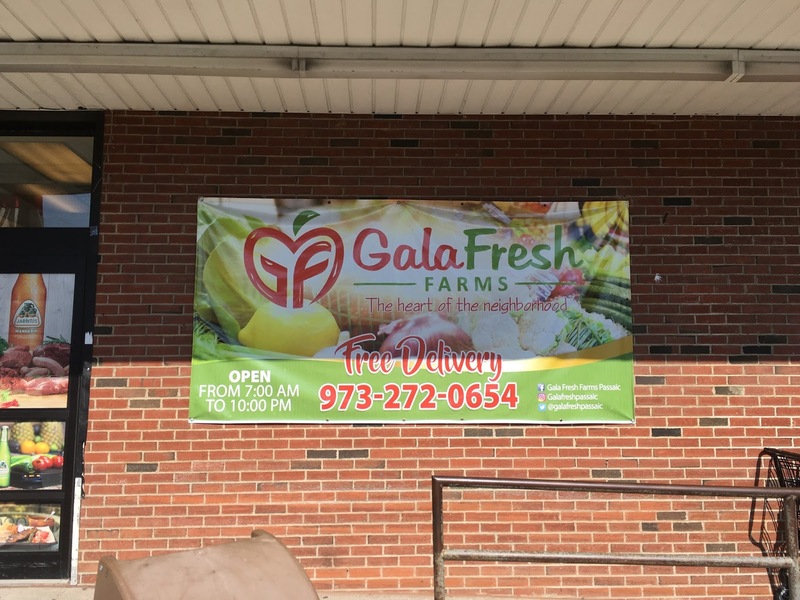 Unfortunately the Sheepshead Bay location did not last, but a new Gala Fresh Farms opened on St. Marks Ave in Prospect Heights, Brooklyn, a former Aurora Compare store. Two additional stores have been opened under the alternate Gala Foods banner, a small former Aurora Compare in Bay Shore, NY and a former Fine Fare on Graham Ave in East Williamsburg, Brooklyn. The idea was to try out Gala Fresh in a variety of demographics, as Aurora typically operates in lower-income, mainly Hispanic neighborhoods. 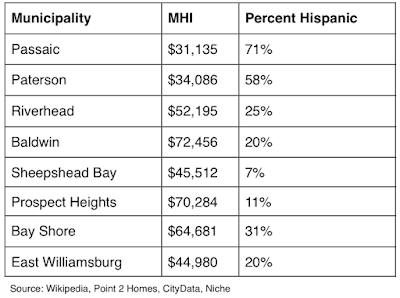 This table compares the median household income (MHI) and percent of population that is Hispanic of any kind. Here we see that the municipalities where the Gala brands are located vary greatly in their demographics. 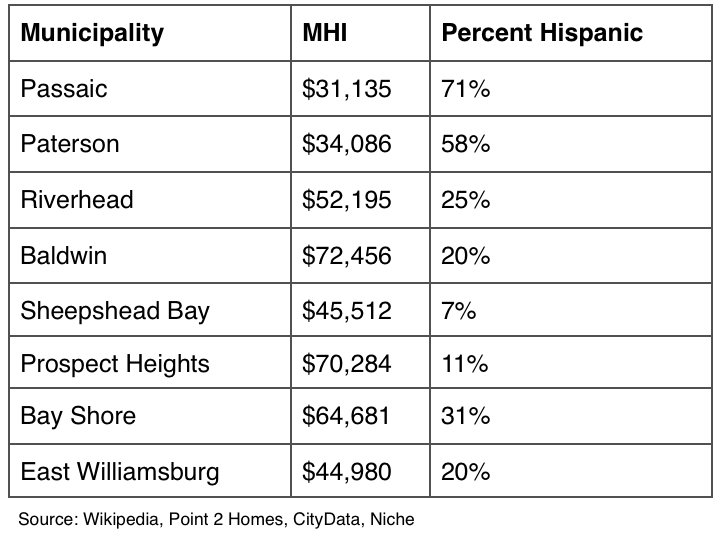 It's also important to consider the "non-Hispanic" populations in each place; for instance, the non-Hispanic population of Baldwin is mostly white, while the non-Hispanic population in Paterson is mostly African-American. Let's take a look at the 30,000-square-foot Gala Fresh Farms outpost here in Passaic, NJ. I visited the store on September 18, 2016, then again on September 24, 2017 after a renovation was finished. The main goal of the renovation was restoring the service departments the Food Basics before didn't have, but decor and some fixtures were also upgraded throughout the store. Clearly this store is still sporting its A&P sign! It started as a 1970s-era A&P before being converted to Food Basics in the early 2000s. You walk into a large produce department, the cases of which had already been replaced in my 2016 visit. 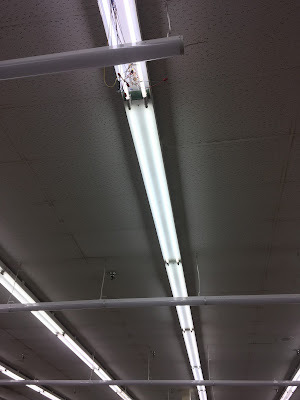 The entire store still had its Food Basics decor, though, and the service departments were being prepared. All new decor, which is very nice (if a little cheap). The graphics are decals up on the walls as opposed to anything 3-D, but they're still attractive. Food Basics signage, minus any mentions of Food Basics. The wall next to the entrance door has a new sign (installed by GFF) that says "The Savings Never Stop / Los Ahorros Nunca Acaban" (Food Basics' slogan)! Continuing towards the back of the store we see a baked-goods case in front of the new deli. Butcher and seafood are at the back of the grand aisle. The hot food and soup bar was closed at the time of my visit, a (really slow, apparently) Sunday afternoon. The store was dead. Beautiful graphics above the deli and meat counters, although I'm not sure about the choice of green for that deli sign. More great wall graphics here. Meat continues along the back wall with dairy on the far side. Great custom aisle markers and 3-D (although just barely) meat department signage. None of the cases were replaced in the renovation, and they're starting to look pretty old. However, the grocery shelving all was replaced, switching the old green Food Basics shelving for newer, sleek black shelving. Some of the shelving had already been replaced. This store does a good job catering to the neighborhood it's in -- you can see the "thank you" sign in both English and Spanish here, and there's an aisle of Latino products. However, the area also has traditionally been very Polish, and this store also has one side of an aisle of Polish products. Might be new LED ones going in. These are easily the nicest graphics in the store. All the cases are left over from Food Basics, and likely A&P. The last aisle is actually double-wide with lower shelving in the middle. We're looking towards the front of the store here. I'm probably the only person who got this reference to Aurora Grocery! Just on the other side of this wall is the former customer service counter, with checkouts immediately past that. It's an OK-looking storefront, but it's not beautiful by any means. The entrance is just to the right above. This store's best features are its produce, ethnic foods, and meat. The seafood counter is quite small and the deli is mediocre, and center-store is pretty standard. I don't know if the store is always as deserted as it was the day of my visit, but I doubt this store is making good business. I have heard that the Paterson location does worse than this store, though. Random side note - given that Halloween is approaching, I've been getting ads for Brighton Asylum, a haunted house that sets up shop every year at 2 Brighton Ave, Passaic, NJ. The way this property is set up, although GF's address is on Van Houten, you actually enter the parking lot through the side street, Brighton Ave. The Gala Fresh's parking lot is unofficially at 1 Brighton Ave, Passaic, NJ. So you can get your tricks and your treats in one stop! This Store is already closing at the end of March 2018.